Locations: Chillicothe, Edelstein Hill, Holliday Junction, Marceline. The newest Heritage Series continues with this show. 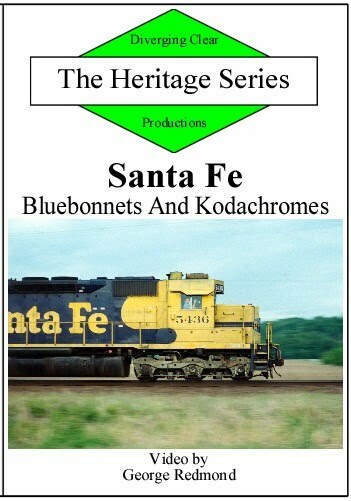 It is about Santa Fe blue and yellow Warbonnets, operating with red, black and yellow Kodachrome painted diesels. 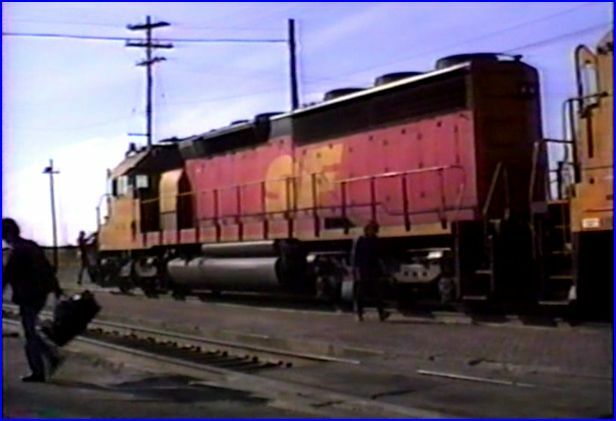 A failed merger attempt with Southern Pacific had SF lettered units repainted on Santa Fe. The remaining SP lettering was never added. 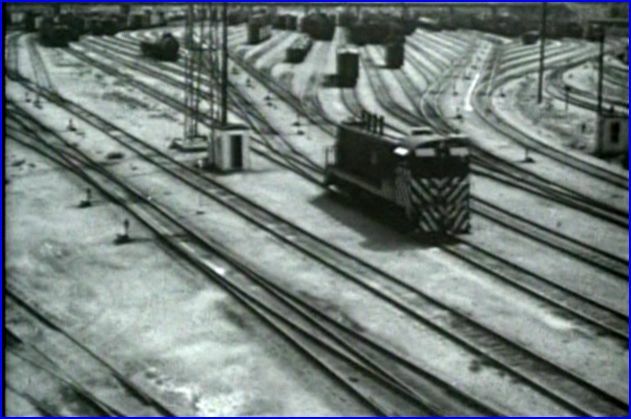 Cabooses are still in service on some trains. 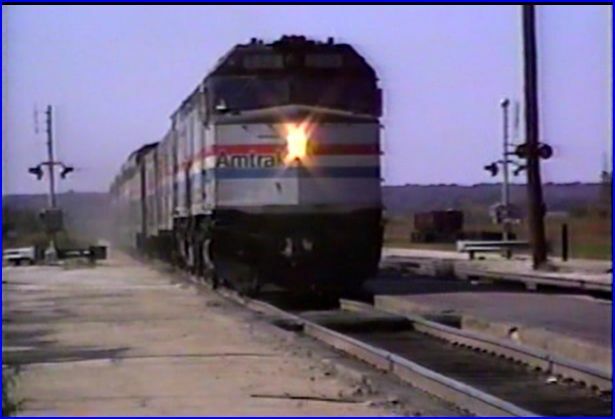 Amtrak cameos too. Kodachrome fans will be satisfied with the amount of those units seen. Four locations in three states, are the setting for this show. There is much TOFC traffic. 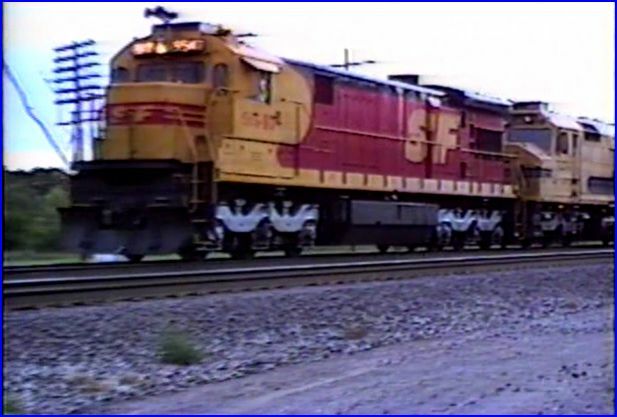 Mixed with general merchandise trains. 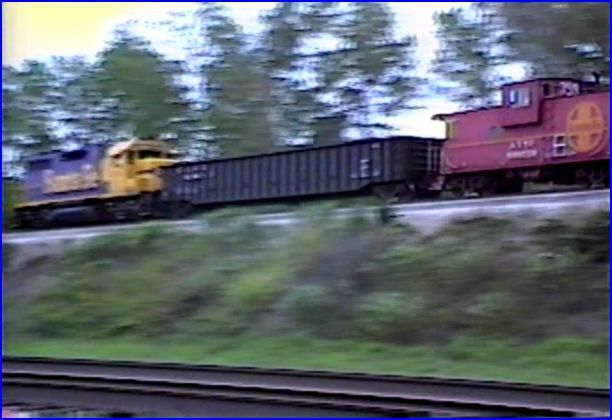 Conrail diesels lead some freights, with their solid blue lashups. A GP20 is on the point. Older diesels are sometimes intermingled with newer, six axle locomotives. The overall assortment keeps the show interesting. GP35 units lead some trial roadrailer equipment. Note the two paint schemes. 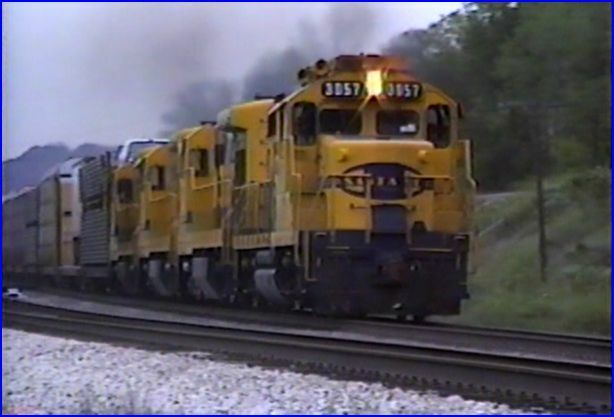 An F45 and SD45 engines are charging through with a hot pig train. As with other Heritage Series releases, George Redmond is the original videographer. Producer Mary McPherson has been upgrading these productions. Some basic maps are a welcome addition to this program. 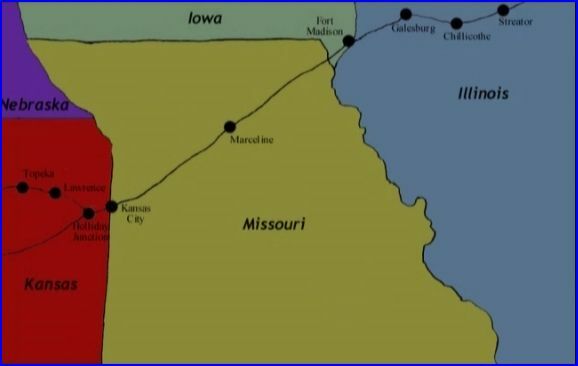 Another map details the Holliday Jct. trackage. There is a chapter menu. Preview section as well. Surprise! 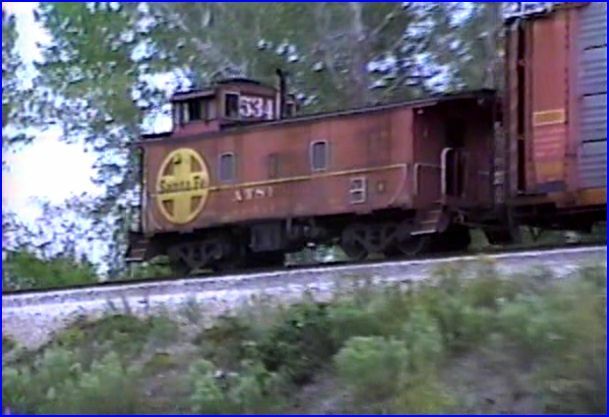 Some 1940’s footage around Argentine Yard adds a brief contrast to the modern era trains. Additional black and white photos are interspersed throughout. Results in some now and then perspectives. Nice. Holliday Junction is the first location. 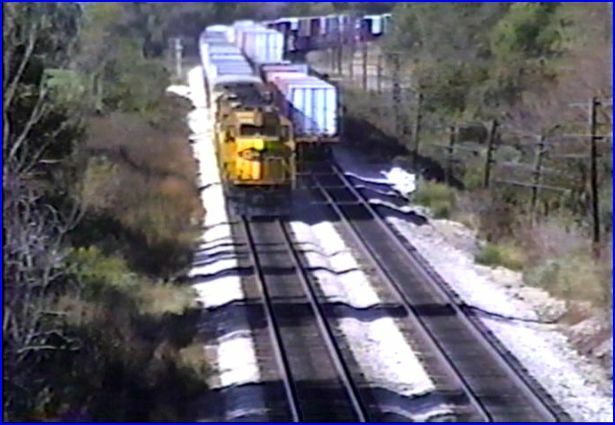 Near Kansas City, there are numerous ATSF moves in the area. 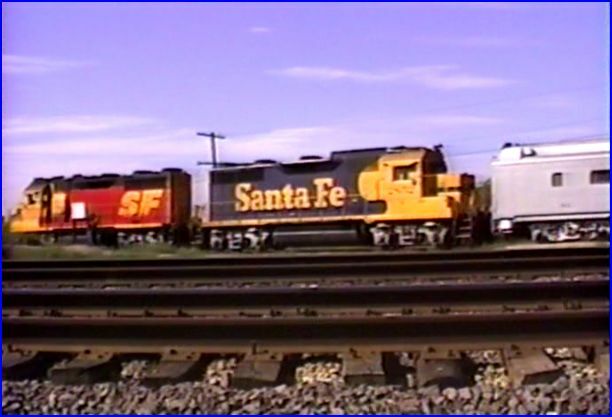 Model railroaders can find assorted details about Santa Fe train consists. Marceline was a crew change point. Plenty of action here. The old station provides a historic backdrop. Edelstein Hill is another, busy location. Plenty of intermodal traffic. Chillicothe is visited next. 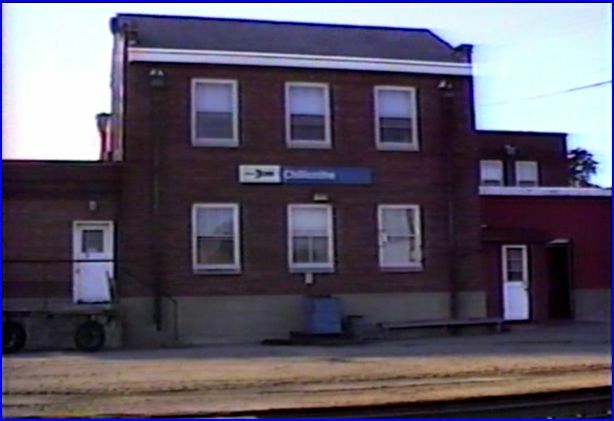 A crew change point and an Amtrak station. Amtrak’s Southwest Chief slows for Chillicothe Station. This program is a good looking one, for 1980’s VHS tape. The videotape appears cleaner then some other Heritage Series programs. Mary does a good narrative. Natural audio dominates the scenes. A few bits have too much wind banging the microphone. Majority sounds fine. For the multitude of Santa Fe fans, this program is a good one to own. If you are new to Diverging Clear’s: The Heritage Series, here is one of the best they offer. The 65 minutes contains a well paced show. 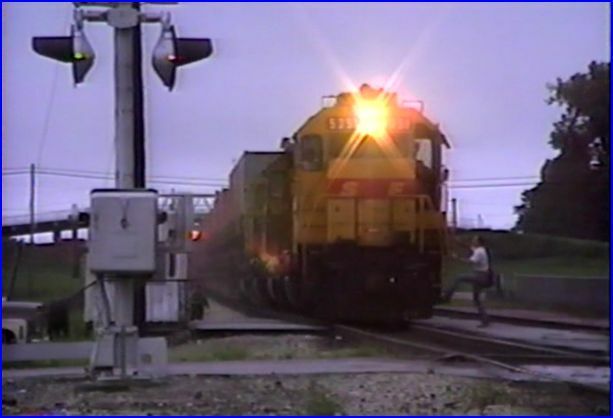 A solid, amateur shot train video. Here is the circa 1988 Santa Fe, just as you may remember. 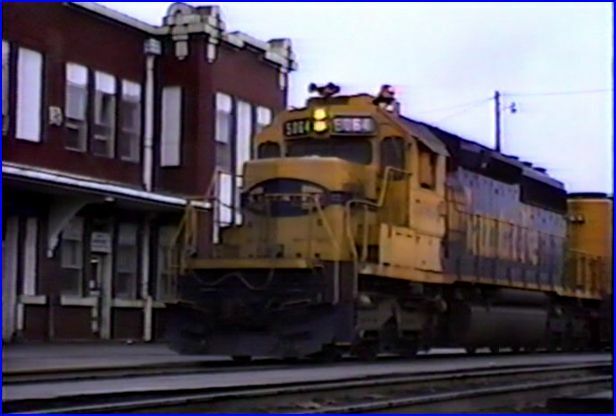 This entry was posted in ATVR Reviews, Diverging Clear Productions and tagged American Train Video Reviews, new releases, Railroad, Santa Fe, Train DVD, train video reviews, transportation by William J. Hudson. Bookmark the permalink.